How does a health care organization prepare for the challenges ahead in the future? John Noseworthy, M.D., CEO and president of Mayo Clinic, shared his perspectives on the Twin Cities Public Television’s (tpt) acclaimed weekly public affairs show, Almanac. 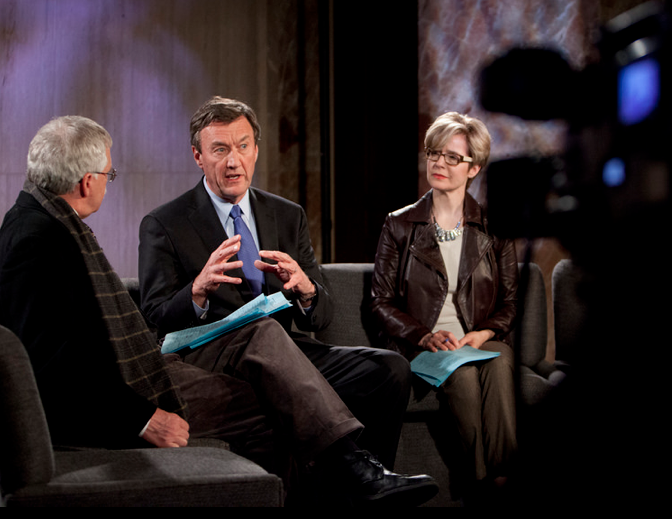 Cathy Wurzer and Eric Eskola hosted a live broadcast on Friday, March 21, from the Mayo Clinic campus in Rochester. Destination Medical Center (DMC) — An innovative economic development initiative to secure Minnesota's status as a global medical destination to ensure that Mayo Clinic will not simply survive, but thrive in the future. The vision for the DMC initiative is to transform Rochester into one of America's model destination cities. 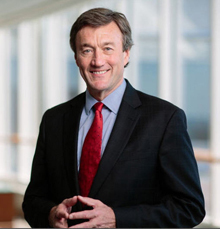 Dr. Noseworthy emphasized that within the next 20 years DMC will contribute an additional 25,000 – 30,0000 health care professional jobs as well as 10,000 – 15,000 new jobs in retail, hospitality, and education. Working Differently — Dr. Noseworthy explained how Mayo's staff currently has 400 re-engineering projects in flight to reduce the cost of care while improving safety and quality. He praised the staff for their willingness to work differently and acknowledged that they continue to be patient-centered. Proton Beam Therapy Program — This radiation therapy program will deliver the appropriate treatment to the right patient when it's needed. It promises to reduce the crippling side effects of photon beam therapy. Proton therapy facilities are being constructed at Mayo Clinic campuses in Arizona and in Minnesota. View the photo album on Mayo Clinic's Flickr page from the LIVE broadcast of tpt Alamanac.